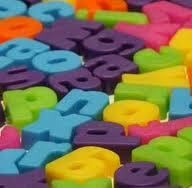 Some words are not spelled as they sound and present problems for spellers. For example, the word said, which rhymes with led and fed, might be spelled as sed by beginning writers. The use of ai for the sound of short e is an irregular spelling. More words with irregular spellings are listed below.